It is probably not the first time you hear this but, electric vehicle is gaining in popularity. With more than 28 000 electric cars on the road in Canada, electric car is no more unknown by people but, what about electric motorcycle? We saw a couple of companies through the last couple years try to make great electric bikes. Some of them had a nice concept but did not go in big production. Alta motors actually did it. Based in San Francisco, Alta Motors designs and manufactures the most advanced electric motorcycle available today. 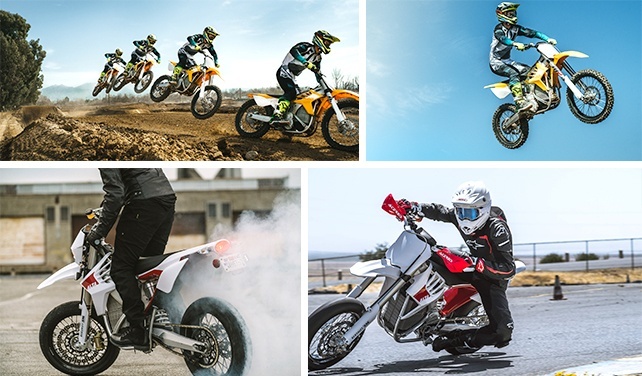 Started after a simple ‘’what-if?’’, Alta Motors is changing the motorcycle world one day at the time. With more available technology and a constant evolution, Alta realized that an electric motor would perform best. With a linear and immediate power delivery, rider gets the total control of his bike. The team had not only the challenges of creating a motorcycle from scratch, but also developing all the electric components specifically for this bike. Let’s start with the heart, the battery. The Redshift possesses the smallest and most powerful battery in transportation. Waterproof and shockproof, the 30.8 kilos battery stacks 5.8kWh and has a maximum output of 350V. Alta design a unique ‘’honeycomb architecture’’ that allow an energy density of 185 watt hours per kilogram. Paired with this impressive source of energy, Alta developed a water-cooled motor able to make you forget your traditional gas powered engine. This lightweight engine produces 40 hp and 36 ft-lbs of torque. The Redshift has a unique frame design. The main structural hub includes the motor, the reduction gear, the cooling circuit and the inverter. This design provides the best weight distribution and the maximum efficiency per pound, not to mention the best protection for components. The electric component gives riders the absolute control and an instant connection between the rider and the machine. Only the best. Alta puts a lot of time and efforts to develop the perfect electric bike. The components you can find on the redshift are the extension of this and the team ensures to select the best partners on the market. 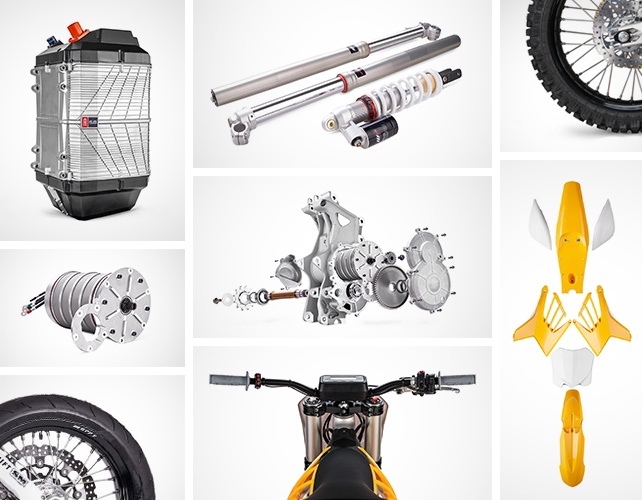 You can find, either on the Redshift MX and SM, Brembo brake and WP front fork and rear shock. To date, Alta develops two models based on the same technology, the Redshift MX and SM. The MX version is optimized to off-road playground like trails, woods and motocross racing. The Redshift MX is built to perform like a modern 250 four stroke motocross. You’ll find 4 maps that allow you to adapt the bike performance according to what you need. TRAIL: A great beginner map or traction map on challenging trails and offers the most range. MX RACE: Power is restricted to that of an equivalent 250 4-strokes. PERFORMANCE: Similar traits as the MX RACE map but with more bottom end and traction. It is also a great starting gate map. OVERCLOCKED: Consider this a hyper or turbo map, it sacrifices range to provide as much torque and power as possible. With 36 ft-lbs of torque, 40 HP and an approximate duration of 3h depending on the map, the Redshift MX a true competitor to the conventional gas powered motocross! The SM version is developed to be fun, street-legal bike, which is not afraid to compete on track. With an ‘autonomy of 60 miles, you will enjoy every one of them. Like the MX version, the SM possesses different maps which change the performance of the bike. Forget your next oil changes and throw your air filter cleaner on the trash can, you will not need them. 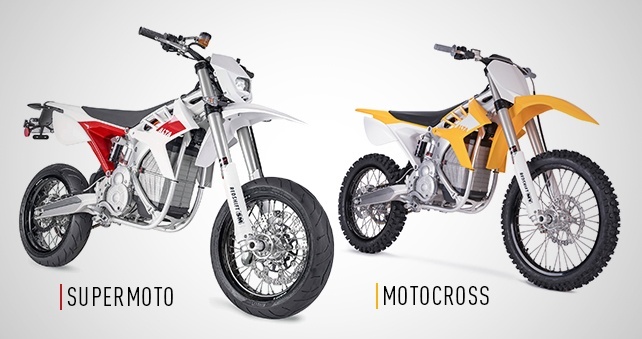 Alta Motors develop literally a ‘’plug’n’play’’ bike. And you, what do you think of electric bikes?